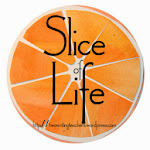 A couple of years ago, I wrote about Three Times Lucky by Sheila Turnage. I loved it and all of the characters living in Tupelo Landing, North Carolina. 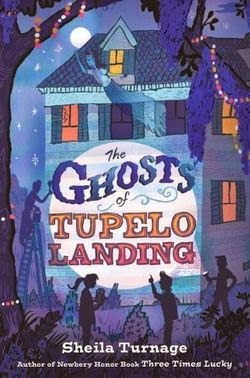 I couldn't wait for the follow up book, The Ghosts of Tupelo Landing. I wasn't disappointed, it made me want to plan a trip to Tupelo Landing. I want to stop in at the cafe to see what classic Hollywood star Miss Lana is today. I want to sit at the counter with Mayor Little and eat one of The Colonel's delicious plates of pancakes or whatever the special of the day is. I want to sit close enough to the Azelea Ladies to hear what the current gossip is and then go sit on Grandmother Miss Lacy's porch, eat cookies, drink lemonade and hear her take on the stories. I want to visit the school and share teaching strategies with Miss Retzyl. She certainly has her hands full with the class of rising sixth graders, I'm pretty sure I could learn a thing or two from her! I want to go hang out in Lavendar's garage while he works on his car. I don't have single mechanical bone in me, but I do like to watch an artist at work. I want to take a walk past Red's house. I'll be sure to keep a safe distance, but I want to see if I can smell his moonshine still, if he has one. She takes a haunted turn in this amazing follow up to Three Times Lucky. Kids are going to love the story and the ghosts and it will appeal to a much larger audience. I'm recommending it to my good 3rd grade readers and up. Just ordered this - thanks for the recommendation! You are so right about the characters - they do feel real.